The news that Aretha Franklin, the “Queen of Soul”, died without having made provision for her fortune in a Will serves as a timely reminder to all to review their finances and ensure they are adequately protected. This applies not only to the inevitability of death, when reports suggest that in the UK alone approximately 30 million adults do not have a Will and therefore no certainty that their estate will pass to what would have been their chosen beneficiaries in the event of death, but also to perhaps the less obvious scenario of a relationship ending in divorce. Whilst it is true that considering death is not something people choose to talk about, perhaps a more taboo topic is that of divorce and the ending of a relationship. Particularly at the outset of a relationship when all is seemingly well and you are in the throes of love, the possible ending of your relationship is hardly anyone’s go-to topic of choice to discuss with their partner. Yet, should this be the case particularly when the latest statistics claim that 42% of all marriages end in divorce? One of the biggest worries couples face at the end of their relationship is what it will mean for them financially. Questions such as where will they live, will they be able to pay their household bills and what will it mean for their well-established pension provision are all at the forefront of people’s minds. In England and Wales, there are no hard and fast rules about how finances are divided when a couple divorce. All of the circumstances of the case are considered with first consideration being given to the welfare of any dependent children. Before anything can be divided however there must first be a gathering together of information so that the couple’s overall financial position and its financial worth is known. This can take time and lead to much dispute particularly over the value that assets are attributed. Only when there has been such financial disclosure exchanged is consideration then given to how the assets are actually going to be split. This will include whether in addition to paying any child maintenance, one party should also financially maintain their spouse even after the divorce has been finalised. Wouldn’t it be better to have the certainty of knowing what is likely to happen to you financially as soon as you knew your marriage was at an end? Surely, avoiding months, if not years, of potential pain not only in terms of the uncertainty but also in having to fund the legal costs involved in the divorce process has to be preferable? And this is precisely why increasing numbers of people are planning ahead and entering into a prenuptial agreement. 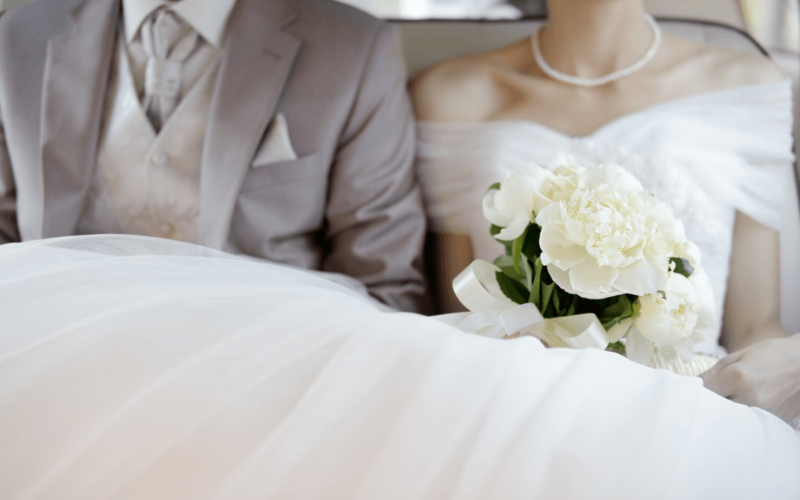 So, what is a pre-nuptial agreement? It is a legal document that is entered into by a couple in anticipation of their marriage which considers the ownership of their respective assets and how they will be owned in the event of their marriage ever failing. The ideal is that such a document never sees the light of day and stays hidden away in a cupboard forever. If circumstances mean that this is not to be the case and the marriage is at an end, the presence of a prenuptial agreement aims to fast-track financial negotiations for the couple alongside their divorce as the intention is that the wording of the prenuptial agreement will be followed in the divorce and the parties’ finances divided in accordance with what they agreed in happier times of their relationship. Unfortunately, although there is definitely a growing trend towards the use of prenuptial agreements in England and Wales, they are still not automatically legally binding. This may not always be the case however as the law is something that constantly reforms and changes in line with society. At present however, a couple remains unable to totally oust the jurisdiction of the Court and prevent the Court from determining how their finances should be divided in the event of divorce. Despite this, the existence of a prenuptial agreement will still be considered by the Court as a material factor. The Court will then be tasked with deciding what weight to give to the existence of the prenuptial agreement as a relevant circumstance of the couple’s marriage. If the prenuptial agreement has been entered into by the couple with a full appreciation of its implications and it is deemed to be fair, it is likely that the pre-nuptial agreement will be upheld and followed by the Court. For this reason, anyone choosing to enter into a pre-nuptial agreement should do so with a full expectation that it will be honoured by the Court on a subsequent divorce. The reality is that if you want to try and exert some control and influence on how your assets are divided should you choose to divorce, having a pre-nuptial agreement in place is always preferable to leaving everything to chance. This is particularly beneficial for couples where there is a financial imbalance between the parties or they may have children from previous relationships who they would wish to consider and provide for financially. But, I’m already married, is it too late to seek to financially protect myself? Even after a couple has married, if they want to seek to achieve financial security and protection and alleviate the problems that otherwise may financially arise in the event of divorce, it is possible still to seek to contract financially with each other about how their assets will be split in the event of divorce and enter into a post-nuptial agreement. Again, as with a pre-nuptial agreement, the importance of ensuring such documentation is professionally prepared by an experienced and specialist Solicitor so that it is entered into with a full appreciation of its implications and is deemed fair in terms of its content cannot be underestimated. It is better to spend the time and money getting the documentation right at the outset so that it stands the best chance of being honoured in the event of a divorce.